Your website - bride of Frankenstein or supermodel? Your website – bride of Frankenstein or supermodel? Nearly every IRO I speak to is dissatisfied with his or her website. Usually I innocently ask: “How is your website working for you?”. That’s when the eye rolling and sighing starts. 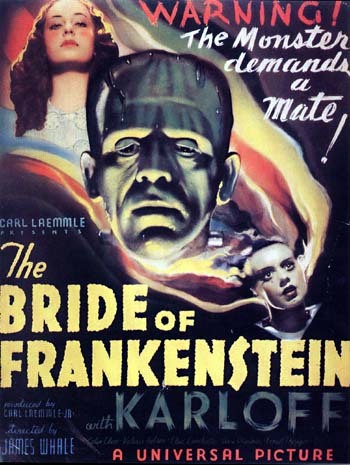 Whether due to death by committee, an unskilled developer or hijacking by IT, what started two years ago as a noble venture in web publishing now looks more like the bride of Frankenstein. Lucky for you it’s easier than ever to remake that corpse into a publishing supermodel. The first step in this makeover is determining what the website is supposed to be or do. Unlike the brochure-ware of old, modern websites are sleek, shiny lean mean publishing machines, with far-reaching syndication capabilities. This ain’t your daddy’s website, kids, it’s a whole new beast. You have to share the website with the other kids, too. Yup, the fine folks in public relations, community relations (or any other department with ‘relations’ in its name), sales, marketing, and, critically, human resources, need to take this digital Maserati for a spin as well. Early consensus and inclusion is critical to telling the company’s whole story, not just the IR pitch. The foundation of a supercharged website is a great content management system (CMS). If your web developer tells you that he or she can create a great site in Dreamweaver or Microsoft FrontPage, run screaming from the meeting. You do not want flat HTML pages that require a geek to do edits. Modern CMSes are almost as easy to use as Microsoft Word, giving you the option to publish or edit when needed or delegate when more convenient. There are pros and cons to either choice. Open-source systems (read free and crowd-developed) like WordPress, Drupal and Joomla benefit from thousands of developers working on them at any given point in time. Characterized by frequent updates and a dizzying array of plugins and extensions, regardless of what trick you want your website to do, chances are a plugin exists and may even be free. The downside with open-source, of course, is there’s no one to call when it breaks, no helpdesk that takes ownership of the software. In reality this rarely matters as good opensource software tends to go through a fairly robust release cycle and bug fixes come fast. Of the open-source systems, WordPress is my favourite. On the proprietary side, there are both commercial CMSes (like Kentico, Sitefinity and many others) that enable you to buy the software but host it wherever you like and ‘house brand’ CMSes. House brand CMSes are generally only available through the agency that developed the CMS and that same agency usually offers design, development, professional services, hosting and support in some kind of a package or subscription deal. Examples of house brand CMS shops include Calgary’s nonfiction studios and Toronto’s Q4 Web Systems. The upside to a proprietary CMS is generally a high level of functionality, knowledge, service and support. The downside can be a lack of portability depending on the arrangement with the vendor. Cost may or may not be a differentiating factor with a proprietary CMS. Once the platform (CMS) decision is made, standard web development processes like user interface design, navigation development, wireframing, content creation and migration, user acceptance testing, debugging, soft launch, evaluation/fine tuning, and hard launch kick in. Rigorous project management is key to a successful on-time, on-budget launch. In the good old days, that was basically it. Oh sure, you’d watch your web analytics and continuously improve the site, observing visitors’ behaviour patterns and adapting to their needs, but launch was launch and you wouldn’t normally revisit for about three years. Those days are gone. Or they should be. Nowadays a good website integrates with the social web and is a powerful syndication engine. To grossly oversimplify, you want your website and workflow to spread your message as far and wide as possible. I often liken this to the little booths you see at the mall at Christmas. Why set up a kiosk at the mall? Because that’s where the customers are. It’s the same with your content. People don’t necessarily want to hang around your website, or even visit it at all, so you have to ‘take it to the people’. Edelman PR calls these info-kiosks ’embassies’. In this context an embassy could be a Facebook page, or a Twitter account (with StockTwits), maybe a SlideShare library of your PowerPoints, or a YouTube channel with CFO interviews. When you build these embassies, you are creating a hub and spoke publishing system, with your website as the hub and Facebook, Twitter and so on as spokes. With proper syndication your website will push content out (from the hub) along the spoke (using really simple syndication aka RSS) to the embassy. The audience may stay at the embassy or, hopefully, follow the links back to your main website. Integration between the website and embassies takes place on two levels – the plumbing and the user interface. To allow the content to flow down the pipe, it all has to be hooked up. Then you advertise these embassies on the website with a social toolbar, buttons, a Connect page, embedded content and so on. I like to break social media down into two parts: storage and conversation. Storage (putting a video on YouTube for example) is a no-brainer – you get extra eyeballs at this embassy for free. Conversation will require more checks and balances and a social media strategy. IR is one of the few areas in social media where being anti-social (i.e. non-conversational but instead broadcasting or disseminating only) is, at least initially, acceptable. Some companies are leading the charge well beyond broadcast-only mode. Encana (disclosure, my client) is using extensive multimedia and embassy publishing. PotashCorp (not a client) is another that does remarkable work on YouTube and elsewhere. When you go to renew your website will it be a bride of Frankenstein or a supermodel? It’s up to you and how you stitch it all together.